Stories help us connect with people, cutting through the clutter and noise. resonate with the world view of the intended audience. While travelling in Argentina in 2006, Blake Mycoskie saw the hard­ships faced by chil­dren grow­ing up with­out shoes. He desperately wanted to help, and cre­at­ed Toms Shoes, a com­pa­ny that would match every pair of shoes they sold with a new pair of shoes for a child in need. To date, Toms has giv­en more than 60 mil­lion pairs of shoes to chil­dren in need. They’ve also helped restore sight to over 400,000 peo­ple, through their sunglasses which come with the same buy one give one offer. When Victor Kiam’s wife bought him an Remington electric shaver, he trusted in the product so much that he bought the company. During the Bangladesh famine of 1974 Muhammad Yunus a Bangladeshi academic, made a small loan of US$27 to a group of 42 families as start-up money so that they could make items for sale, without the burdens of the high-interest rates charged by predatory money lenders. That small loan was started what is today the Grameen Bank has lent more than $5 Billion dollars and helped hundreds of thousands of people out of poverty. These are three great examples of brand stories, which in many ways have defined the businesses. At Rethink Marketing we work with small businesses to help them craft and tell their stories because stories are without a doubt the most powerful way we can engage with the humans we call customers. Their story is the foundations on which we build their marketing strategy. Great stories cut through the clutter and noise of our world, and change the way we see it. They are so much more than a sales pitch, they connect with us on a deep level and build trust, credibility and eventually a relationship. A great story is always true. Not necessarily because it’s factual, but because it’s consistent and authentic. As Australians, we are unbelievably good at sniffing out bulls@#$. The small inconsistencies that a marketer can slap on, the stock images used instead of real people all trigger our BS detectors causing us to ask the question “can I trust this business”? Great stories are trusted. Have you ever considered that trust is the scarcest resource we’ve got? No one trusts anyone. People don’t trust the stunning Instagram influencer posting her “best life” in a five-star resort all to her followers…clearly, she’s being paid by the resort for a sponsored post. We don’t trust the spokesperson on commercials, have you noticed that the Brand Power Infomercial is dead? And we don’t trust the companies that make the products we use in our everyday life, hands up if you believe Telstra when they tell you that mobile phones don’t cause cancer. All this means that as businesses our story won’t be heard until we’ve earned the credibility to tell it. Great stories are subtle. Imagine two people telling you their stories about how they survived a shark attack. One is lying. The first storyteller provides all the gory details, the rescue scenario, the treatment they received, their vital statistics and recovery and so on. The other simply tells you, ”Yep, it was a big fish, took one bite then realised I didn’t taste so good”. The difference is that the second storyteller was a double amputee. Now, who would you believe? Surprisingly, the fewer details we spell out, the more powerful the story becomes. Allowing people to fill in the gaps is far more effective than announcing the punch line. Substance wins over content every time. Most of all, great stories match the way we see the world. The best stories don’t teach us anything new. Instead, they reinforce what we already believe and making us feel smarter and more secure we’re reminded how right we Were in the first place. We are all marketers, of our businesses, our skills, our values. We all tell stories. So next time you go to share your story, take a step back and ask, is it authentic, is it credible, is it subtle and does it match the way your audience sees the world? When we get these things right, a great story can change the world. Every business you’ve ever worked with or for has a primary driving force. It is this force that is driving the business forwards. Often it is a reflection of the values their founders or leaders hold most dearly. This drive is the cultural lifeblood of everything they do, it becomes the norm, “the way things are done here” mantra that they live (and die) for. At the sales-driven company, you’ll see a massive focus on taking your product to market. It’s their job to convince, persuade, cajole and eventually win you over to their way of thinking. If you’ve worked for them, you’ll hear chatter about “the numbers”, closing deals and not so much about the customer. This approach works…sometimes. It relies heavily on the influence skills of their sales team. Customers are often seen as the means to the end. Relationships are measured by what they get out of it. The product-driven (or engineering-driven) firm focuses wholeheartedly on building the very best widget. Their internal dialogue is all around features, capabilities, specifications and performance of the said widget. There is a belief that bringing the best widget to market is the best road to success, and sometimes it is. For firms like Ericsson and perhaps even Google, they’ll often build great solutions to problems that don’t exist. Sometimes these will appear to outsiders as failures, but the breakthroughs they make, lay the foundations for future successes. Product-driven firms build amazing products, then look for a market for them. Their internal dialogue if often, focused on innovation, better ways of doing things and beating the competition to market with their brilliant new idea. Marketing-driven firms often look the slickest. They are always “on message” presenting a story to the market that communicates the value they claim to offer. They are smart, focused on the offer, presenting a wafer-thin veneer of credibility to the market, often while their product people work furiously in the background trying to match the reality to the glossy brochure. Get beneath the surface (as an employee or customer), and things are not so pretty. Often these are the first who spend the most time talking about “roadmaps” with new features coming soon. These are the businesses you’ll see looking for that one silver bullet, the magic Facebook hack, shiny new branding or just about anything that avoids having to do the hard work of creating value for their customers. Market-Driven firms, however, are different. Their sole focus is on solving the problems that matter, to the people they exist for. They are continually seeking more insights into the issues facing their market and finding better and more efficient ways of solving these problems. They hear the market place, but perhaps, more importantly, are heard by the market place, and through their genuine engagement change the way they see the world. They’ll do the hard work of building empathy into their business systems, such that they understand the hopes, dreams, frustrations and feelings of their customers. Being market-driven is hard work, but ultimately it lasts. Choose your driver wisely, because ultimately they will decide where you’re business goes. We all screw up sometimes; don’t miss the learning opportunity. Figure out where YOU went wrong, and fix it. Feedback is a gift, don’t throw it away. If you’ve been in business for more than five minutes, you’ll be well aware of that sinking feeling in the bottom of your stomach when you learned that you’ve screwed up. Failing is never fun, but it is only excruciating if you fail to learn from your mistakes. Recently, we discovered that a project we had commenced for a new client had gone horribly off the rails. In our haste to meet a set of incompatible requirements we bypassed many of our processes and checks, we’d ended up in a place which was a long way from our values. The situation was unrecoverable, and I was devastated. Know your customer, and have the courage to say no, as soon as you realise that their expectations are incompatible to what you can deliver. Work harder to see the world through their eyes, and if their expectations are radically different from that, you know your business can achieve, make sure that it is clearly communicated. Don’t let an opportunity like a failure to deliver on a customer’s expectations go to waste. Complete a full audit of everything that went wrong (and right) leading up to the final outcome. Find the gaps in your systems, your marketing mistakes and sales slip-ups. When you’ve identified all of the rot and branch causes, take action to fix them. Remember, that the customer might not always be right, but they are always the customer. Feedback is a gift, don’t waste it. It’s a question that every small business needs to make when planning their website. There are many valid arguments for and against to putting your pricing online. To provide some clarity, we’ve busted a few myths that people tend to carry when considering the pricing question. If it matters to them, then make it easy. Price is often an important decision-making criteria, so if publishing your price on your website makes it easier and faster for them to decide in your favour, why would you get in the way? Publishing your prices doesn’t show your value. It won’t improve your branding. What it can achieve is to assist customers on their buying journey, getting you closer to a yes (or no) decision. Your website needs to sell as well as your best salesperson. If you don’t trust it to communicate the value you offer (which should be bigger than the price you charge), you’ll need to fix this much bigger problem. Seven reasons businesses don’t put their prices on their website. What if my competition sees my price points? What about them indeed. Most serious players in most industries have a pretty good idea as to where they sit relative to their competition. Ask yourself, do you know roughly where you expect the competitions pricing to be on the next job you both quote on? If you don’t then you have some work to do on your competitive intelligence. While their website is a good place to start, you could also ask your customers, their customers, industry colleagues or look at the cost structures they have in their business and make an educated guess as to where they should sit if they were to be making an acceptable margin. There’s no doubt that they’ll be going through a similar process when looking at your prices. If you are doing something unique, and have a fundamentally different cost structure, pricing your services can show that differentiator. If on the other-hand your cost structures are much higher than your competition and deliver no additional value to your customers, get down to work fixing these, or creating more value. In short, price is everywhere today, and customers expect to see it, up front. Perhaps you think that you need the prospects to talk with you first so that you can demonstrate the value your product or service offers, before quoting them a price. This is an argument we here all too often from salespeople, and perhaps it is a little bit of self-preservation. If your website is well structured, it will prove to a visitor whether you can solve their problem and that the price you charge is worth every cent. Effectively the website is becoming a valued part of your sales team, creating value for your customers and streamlining the sales process. When a prospective customer finally does call you, they’ve already been pre-sold by the website and your sales teams role is to reinforce the understandings of the value you offer and close the deal. If a sales rep needs to speak with me, it’s because they think the product or service “needs explaining,” or that they need to “handle my objections.” Neither is a good excuse to waste my time on something that doesn’t need explaining or should have been explained thoroughly on the website. If you’ve done the work to understand the objections and handle these before I raise them, then top marks, this is what a website should do. What if they see the price and suffer sticker shock? You’ll know from your own experience sometimes the price of a good or service is enough to send you searching for the nearest AED. Immediately your interest is crushed, and you’re walking (ok running) out of the short at top speed. It happens even faster on a website, just click that back button and you’re out of there. In any contexts, no price looks even more expensive, than a high one. Imagine walking into a high-end fashion retailer that had no prices, for most of us the message would be…if you need to worry about the price you’re not welcome here. For their target market though this would be the perfect signal. Some services and products (like many that we offer) are tailored and priced according to each client’s needs. In many of these instances, people don’t expect to see a price. What can work however is a price signal. Pricing signals can be explicit such as price ranges and from prices, or implicit, through the use of colours, style and design to convey a message. -When using price signals, make sure that they are consistent with the reality of your offering. You’re setting your customers up for a disappointment in for example making your cheap second-hand store look like a high-end antique store (or vice versa). If you feel that your service or product is no different from that which your competitor offers you have a problem. This is called a commodity. Commodities are regarded as being for all intents and purposes the same, regardless of who is selling them (think about fuel, wheat or iron ore). By being clear on what makes you unique, and better than your competitor, you avoid being seen as a commodity. In marketing lingo this is called your Unique Selling Proposition. If you don’t have one, get one. In almost every instance it’s there, you just might need a hand teasing it out. If your website visitors are only shopping for prices, chances are they are not your customers. If you’re only winning customers over because you’re the cheapest, you’ll lose them as customers as soon as someone else is willing to cut their margins deeper or adopt a lower cost business model. For these customers, including your prices on your website, Facebook page or Google Ads, is an excellent way of helping them to qualify themselves out, before wasting your time. If price really doesn’t matter to your target customer, then don’t include it on your website. But before you make that jump, consider the fact that Rolex, Gucci, IWC and many other Premium Core and Super PRemium brands, do include prices on their sites. Graff and Leviev don’t but then again, when they start at USD$50,000 for a ring why would they, if you need to ask, you can’t afford it. So should you put your prices on your website? There are lots of reasons not to put your prices out, and many of them might seem valid. The only thing that should ever matter when it comes to making the decision is what do your customers expect of you? At Rethink Marketing we’ve worked with hundreds of small businesses in both consumer and industrial markets, offering products and services that vary in their complexity and price. We are yet to find a product (or service) that we can not provide a quote or at least signal a price range. Indeed, we have most experiments we have conducted we have found that being up front, transparent and indeed open about pricing has boosted both the quality and quantity of leads generated. I guess the end customer is just rewarding our clients for their transparency. We’ve got an exciting opportunity exists for a talented Freelance Web Developer to join our boutique digital agency based at the Bunbury. We are looking for a web developer to work across a variety of client projects mostly built from scratch including websites, mobile sites, apps and more. Rethink Marketing is a young, independent digitally oriented agency with a laser beam focus on delivering real outcomes to small and medium sized businesses operating in the South West. We don’t build websites, we build great online businesses with our clients. We are highly driven, and love to work with people who are passionate about what they do. To us it’s about doing what you do and doing it well. If you think that this is the kind of place that you could grow then keep reading. Accepted file types: doc, docx, pdf, zip, html. © WordStream, an Google AdWords partner. We often hear about the Four Ps of marketing – namely Product, Price, Place (also known as Distribution) and Promotion, but its People, that can make all the difference between a good marketing strategy executed brilliantly, and a great marketing strategy which flops. A recent article by Zeynep Ton of the Harvard Business Review, titled Retailers Should Invest More in Employees, explores the connection between customer service and low cost retailers. To summarise his findings, Zeynep found that contrary to popular thinking, low cost retailers who invested in their staff (through better conditions, better pay and very importantly better training) tended to be more profitable. That’s, right, when you spend more you can make more! But How could that work I hear you think? Lets start with the logitics side of things. It is your employee, not the inventory management systems that can identify and fix a messy shelf. Its the employee not the Point of Sale system that can tell when the price on something doesn’t scan up correctly and fix it. Its the employees not the rostering systems that can see there are too many customers in the cashier queue and pen an additional checkout. when you fail to invest in your human resources, you fail as a business to make the transaction as efficent for your customer and your conversion rate and profitability suffers. The other really important area that your employees affect the success of your business is in their enteractions with customers. Happy, engaged staff are much more likley to give customers a sincere smile, answer their questions in a helpful way, or go the extra mile in helping a customer who has had a bad day, or bad experience with your business. These experiences form the foundations of real customer loyalty, brand equity and most importantly the profitability of your business. So how can you achieve a more engaged workforce? Put simply you need to start looking at your human capital as you would any other capital investment. Considering the return you can make on even small investments in this resource, it is often the most effective place to start investing. Many online retailers do almost everything right but still fail to win big in world of ecommerce. To illustrate how difficult it can be I’d like to share with you the story of an online retailer who did almost everything right. Bob, has spent many years (and many thousands of dollars) building up a solid eCommerce site, which is well designed, competitively priced, and ranked well in the search engines for his chosen keywords. He is receiving a large number of visitors, they come, they see and they put his products in their shopping cart. But sadly that is where it ends for most of them. 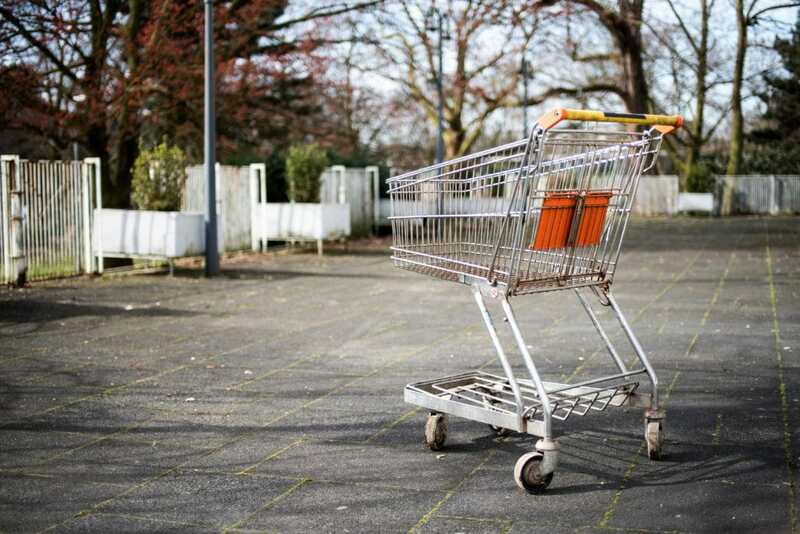 For one reason or another 65.23% of them abandoned their shopping carts and left his store to buy elsewhere. The tradgedy through is not that they where doing this, but that he didn’t know that it was happening, or how to fix it. In our experience, we have found several reasons why customers abandon shopping carts and the effectiveness of an ecommerce store in converting visitors to buyers (known as the conversion rate) suffers. The mind map below lays out our top 10 reasons why visitors abandon their carts, along with some important considerations when looking at improving your conversion rate. The first step we recommend to all of our clients is to get their web analytics audited to ensure we can track ecommerce transactions, with a tool such as Google Analytics. This will help us to answer many of the what questions. From there we need to start considering some of the “Why” questions, and qualitative tools such as 4Q survey can assist in getting feedback from the customer as to why they are visiting your store, and what their experience has been. At one time or another everyone of us has asked the question as to what the costs and benefits of outstanding customer service are. In other words…is it really worth it? The $4 Million Complaint Call | Inc.com. In business, we’re often all about the numbers–occasionally to a fault. I’m not saying statistics and metrics aren’t useful tools. Sometimes, however, the success or failure of an enterprise comes down to individual interaction–say, a handshake or a phone call. In 1995, I bootstrapped a tech company, Broadcast Software. We created digital audio and automation software for broadcast radio stations. After four years, we had 16 employees and customers in 40 countries. But we were at a transition point. If companies need to grow or die, we were in need of a transfusion. We had grown beyond my ability to fund future growth out of my back pocket, and it was time to get outside capital. It also turned out to be time for the tech bubble to burst. Our potential funding sources instantly disappeared. I was a hands-on CEO. I had written the original code and knew many of our customers personally. I had told my employees that the buck stopped with me, that I’d be willing to speak with any customer they couldn’t help or satisfy. If need be, they should even give out my personal number. So when my cell phone vibrated at 2 a.m. on a Sunday morning, I recognized the 618 area as Southern Illinois. That meant the caller was Bob, a crusty old-time radio engineer and owner of a very small rural radio station near Mt. Vernon. He’d purchased one of our systems several months before and had been struggling to get it up and running. Bob’s biggest problem was that he’d never even used a computer before. My support manager more than once had recommended that we just refund Bob’s money. But we’d marketed our products as easy to use, so we couldn’t abandon someone because they’d found otherwise. I climbed out of bed, closed the door behind me, and spent the next two hours coaching Bob on how to configure the start-up options for Microsoft Windows. It wasn’t an issue with our software, but it was a problem for our customer, Bob–which made it our problem. At the end of the conversation, I thought we’d made a lot of progress. Bob was enthusiastic. I was hopeful. That was the last anyone heard from Bob. He didn’t call tech support. He didn’t call me. As time passed, I wondered whether we’d actually fixed the problem or whether he’d just given up. I made a mental note to check in on him as soon as I’d figured out the bigger financial issues. One situation was about to solve the other. Almost six months to the day after I’d hung up the phone with Bob, I received another call. The chief of engineering of a major media company informed me the company had decided to standardize on our software across its entire chain of more than 300 radio stations. It would be the biggest order in our history–more than $4 million–and would easily provide the capital we’d been needing. The call was a complete surprise. We’d not pursued their business. In fact, it had been public knowledge that they were selecting one of our competitors. As it turned out, the reason for their mid-course change was … Bob. That phone call with Bob saved our company. He hadn’t given up on us; he loved us. Shortly after my call with him, the same media giant made an offer he couldn’t refuse to purchase his radio station, and Bob had stayed on as a consulting engineer. They did, and the rest was history. Our history.